If you're in need of an affordable boning knife that would cost less than $50, then you've come to the right place. We'll be reviewing five of the best boning knife that you can choose from for your kitchen needs. We'll also offer guidelines on how to choose the right boning knife for you. A boning knife is important because it can trim away the meat from the bone efficiently. Other knives can't do the work more efficiently than a boning knife does because it needs the right flexibility and curve to get as close to the bone. If you want to be guided on your next boning knife purchase, continue reading below. 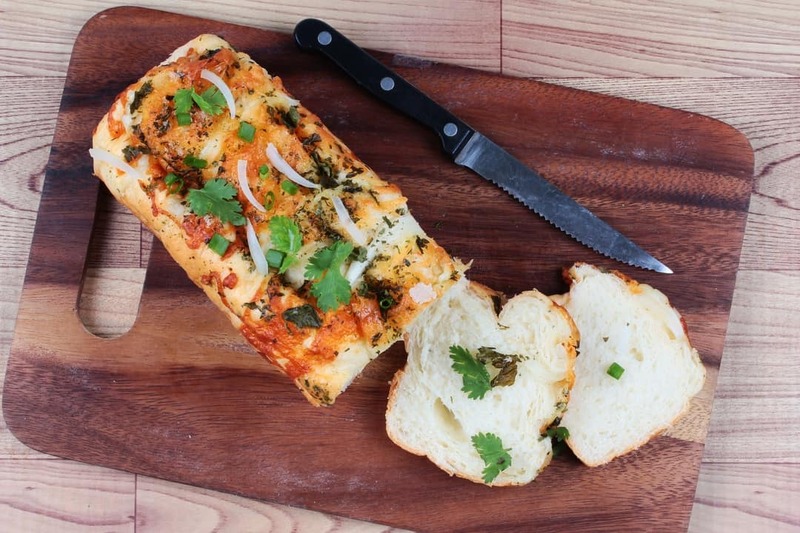 What Are The Benefits Of Using A Boning Knife? A boning knife is used to cut the meat from the joints, tendons, and bones. 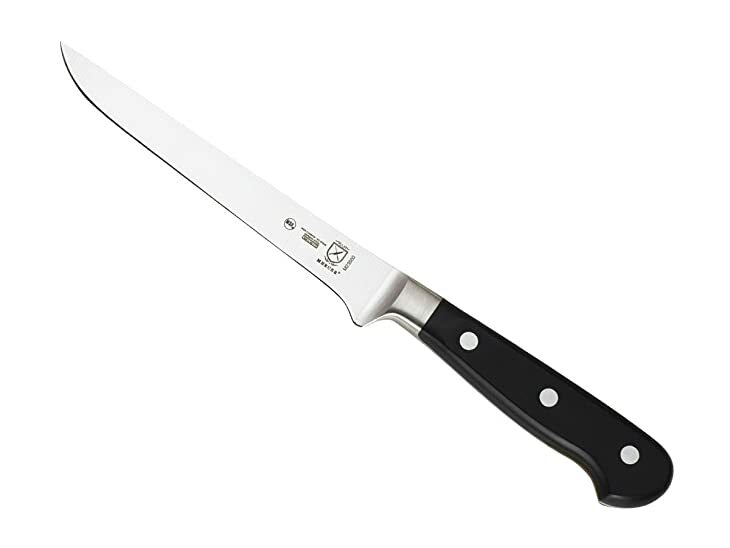 As compared to a chef knife, a boning knife has a thinner, narrower, and shorter blade. Its blade can either be flexible or stiff. To learn more about boning knives, watch this video. Choosing the right boning knife depends on the type of meat you'll bone. 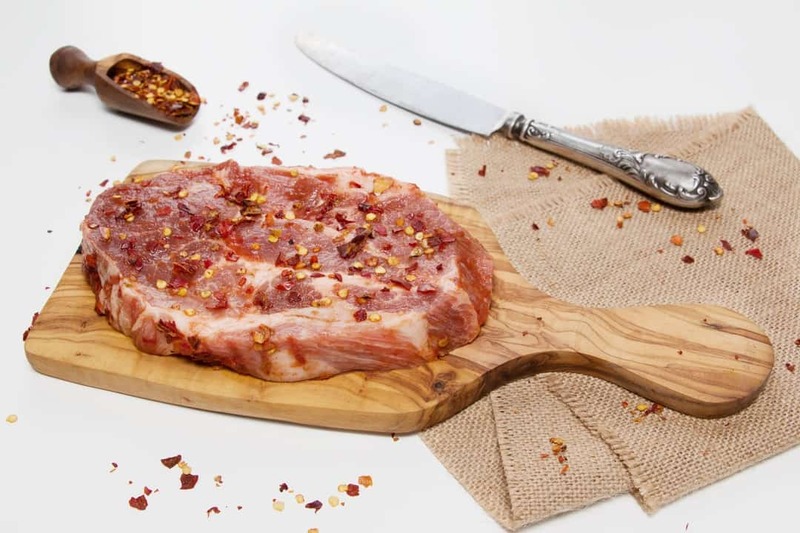 A stiff boning knife is ideal for tougher meats, like beef and pork. On the other hand, a very flexible knife is preferred for boning poultry and as it can get close to the bone. For general meat boning, a semi-flexible knife will do well. 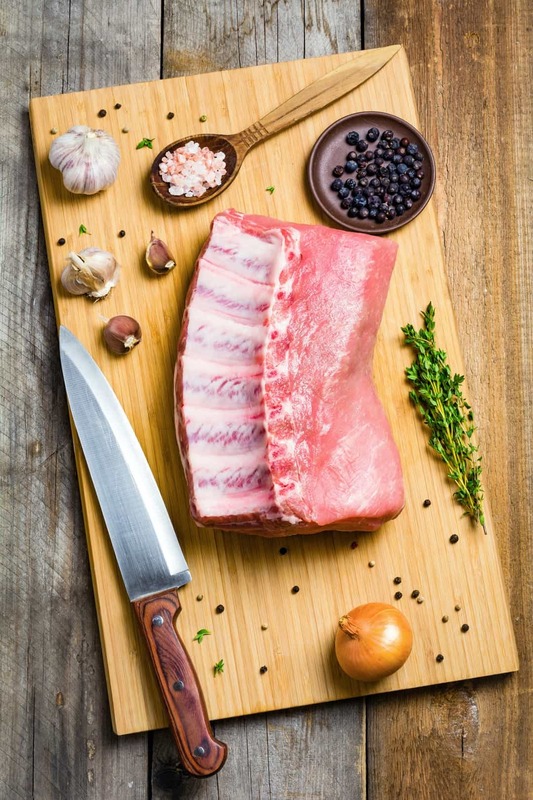 Unlike a typical chef knife, a boning knife can work around bones, membranes, and muscle groups to separate the meat more efficiently. It allows you to de-bone the meat with less waste as possible. The thin and flexible blade offers precision like no other knives can do. Using a boning knife makes the de-boning process faster. It's cost-effective as you prevent wasting meat that could be left on the bones. As compared to any regular knife, the whole deboning process becomes easier. To keep the edge of your knife sharp, you should sharpen it regularly. Nothing is more harmful than a dull blade as it easily slips while in use. To sharpen the blade, you may use a honing steel or a sharpening stone. If you want more convenience, use an electric sharpening stone or pay a professional to do it for you. Never use the dishwasher in cleaning your knives, especially if you have a wooden handle. Instead use a clean soapy water and a non-abrasive scrubber. Using the dishwasher might scratch the blade or worse make it dull quickly. The type of cutting board is also critical for the condition of the knife. Even if ceramic and granite look luxurious, they're not ideal to use as they can make the knives dull. As much as possible use plastic cutting ﻿﻿boards. To choose the best boning knife for your kitchen needs, here are the features that you need to look for. The size of a boning knife can range from 3 inches to 10 inches. The smaller the blade, the more flexible it becomes. For versatility, 6 inches is ideal. However, if you want to make delicate cuts, a smaller blade might be suitable. If you want to make larger cuts a size from 7-9 inches might be perfect. The best boning knife should have a comfortable, non-slip handle. You can find different types of handles from hard plastic to wood. If you like to have a good grip, look for synthetic materials, like Polypropylene. Wood handles look great, but they can be easily ruined if left in water and doesn't offer the same degree of resistance as plastic. If you want a boning knife to have a good balance, look for a full tang feature. The tang should extend to the end of the handle so it can give a more durability. You can also take full control of the knife when it has a full tang feature. To look for a durable blade, make sure that it's made of high carbon forged stainless steel. This kind blade usually has a sharp edge that will last for long. A forged blade is heated then formed and hammered to create a strong blade. If you don't like rust to form in your knife, look for a stainless steel blade. This Mercer Culinary Renaissance has an ergonomically designed Delrin handle, which is triple-riveted for better hold and comfort. A high carbon German X50 Cr Mo V15 steel fights rust, stain, and corrosion. It is designed with a full tang for excellent balance and its forged construction offers maximum strength and sturdiness. You can count on its stability and long lasting sharpness as its edge is taper-ground. The short bolster makes gives ease for sharpening and more durability. Future defects can also be covered with its limited lifetime warranty. This Dalstrong Boning Knife is a 6-inch flexible knife made of forged, high-carbon German steel. This makes the knife very sharp and wear resistant. 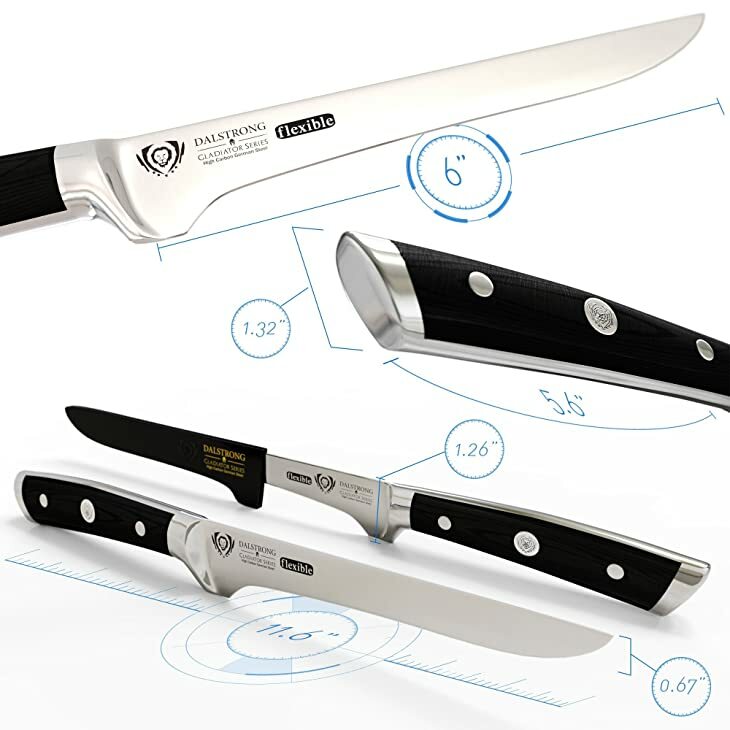 A full tang design allows great balance while a flexible blade technology ensures efficient deboning and skinning tasks. The handle is made from imported black pakkawood and secured by triple rivets. Its ergonomic handle shape offers the right grip, comfort, and maneuverability. A finger protective bolster offers a nice balance with the use of the right heft and a lifetime warranty ensures defect coverage. This Victorinox 6-inch boning knife has a flexible blade that can separate meat, poultry or fish from their bone with accurate control. 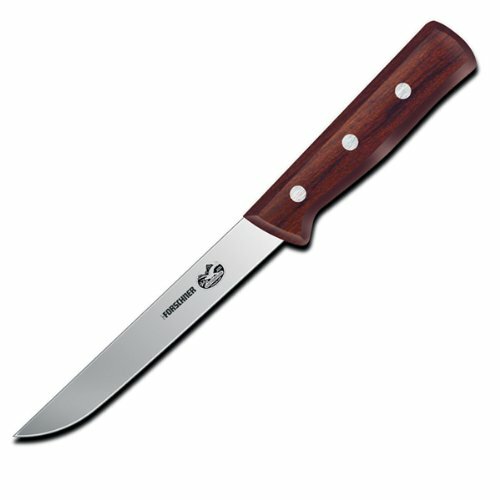 Its high-carbon steel blade offers great edge retention and sharpness. What I love about this knife is its patented Fibrox handle which is slip-resistant and ergonomically developed for ease and balance. This knife has a stamped blade and a bolsterless edge for convenient sharpening. It offers a lifetime warranty so you can get it repaired for defects. To maintain its good condition, hand washing is recommended. 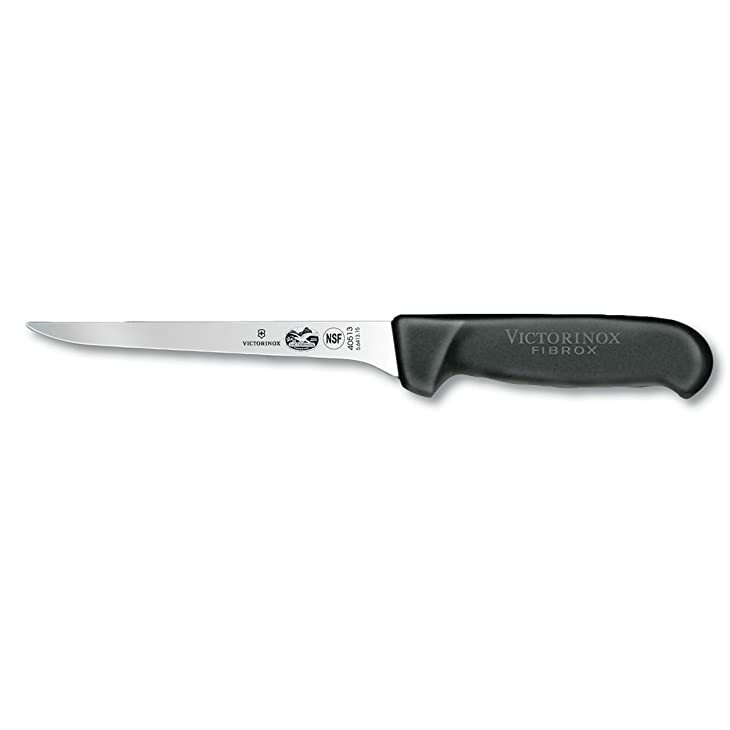 This Victorinox stiff boning knife is a stamped knife which offers a lightweight variation than forged knives. It is fashioned with a durable rosewood handle which reduces tension around the wrist. Its straight blade is perfect for strait-line bones, like shank or femur, and cutting steaks from roasts and beef. The knife is designed with a full tang which ends to end of the handle. It's fully secured with three rivets. This also holds a great edge. This Icel boning knife is ideal for rib bones and red meat. It has a polypropylene handle which is slip resistant and ergonomically developed to improve comfort and balance. Built with a high carbon stainless steel blade, this ensures long lasting cutting strength. A lifetime warranty is offered to cover against defects. It's dishwasher-safe, but hand washing is suggested. This knife offers a nice contoured shape, which makes it more convenient to cut the meat off from bones, tendons, and joints. Among the five boning knives reviewed, our rating considers Mercer Culinary Renaissance 6-inch Forged Flexible Boning Knife and Dalstrong Boning Knife as the best boning knives because they have all of the features to look for. They have the ideal 6-inch size of the blade, forged steel, full tang, and comfortable handle. If you've something to share, let us know in the comments section below. If you like this post, don't hesitate to share it with your friends. If you are looking for a good bread knife that you can easily use at home, then take a look at best bread knives 2017. You can also check out best﻿﻿﻿﻿﻿﻿ butcher kni﻿v﻿es 2017 here.